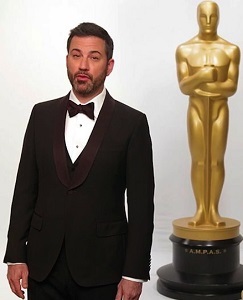 Coming on the heels of the #MeToo movement, all eyes will be on Jimmy Kimmel as he hosts the Oscars on Sunday. Will he speak to this issue? "It will definitely be part of the show," he said. "How big a part I'm not sure, because I'm still digging through a mound of material." I have another assignment for him. He can dig through the mound of material that the Catholic League has gathered for him. The subject is related to the #MeToo cause: Hollywood sexual abusers and enablers who have a record of anti-Catholic offenses. To see the evidence, click here. Kimmel has won many plaudits for bravery by speaking up on a range of controversial issues over the past year. Let's see if he has the courage to speak about the biggest stain on Hollywood's reputation—its raging anti-Catholicism.